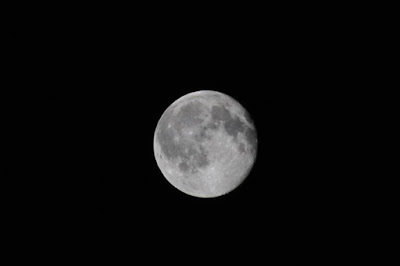 A couple of days ago I posted a shot of the almost full moon on automatic settings. Jacob gave me an assignment to try for the full moon using manual settings. Below are the results. I wanted to get the shot Friday night, but it was overcast all night. I know others have taken better shots of the moon, but I am pretty proud of mine. I love the detail. College football season started today. Great start for the University of Texas, not so good for Oklahoma. Be sure to check the side bar, details on the Kaufman County Ghost Walk and the Flights of our Fathers Fly-In.